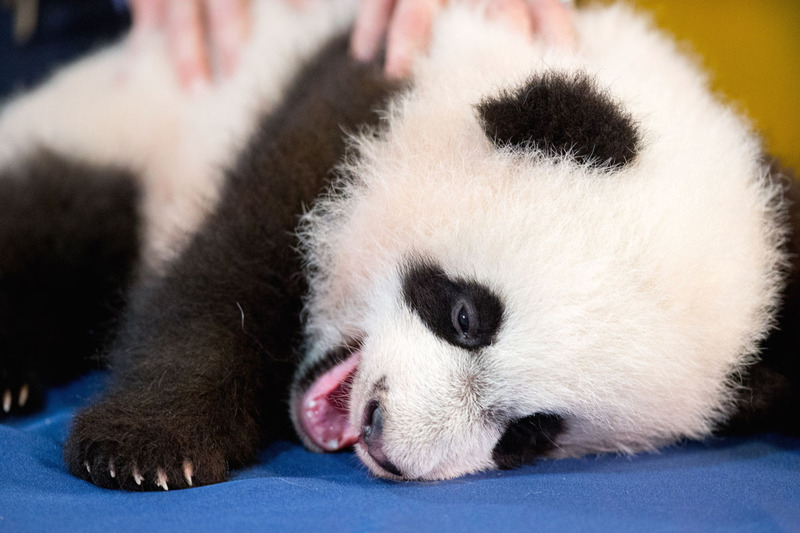 Pandas are famously helpless at birth: pink, hairless, blind, and about the size of a stick of butter. 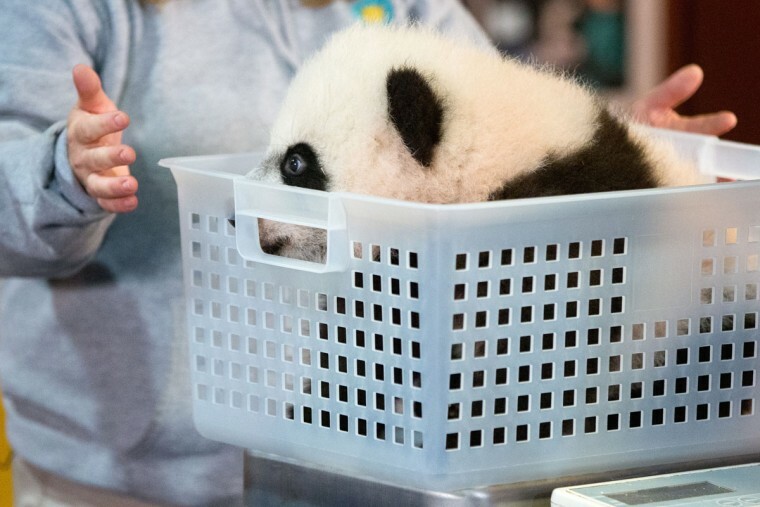 Bei Bei, who was a twin — his brother did not survive — weighed just 4 ounces when he was born. 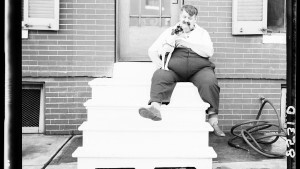 Now, at nearly 4 months, he’s 17.5 pounds of fur, muscle, claws and teeth. 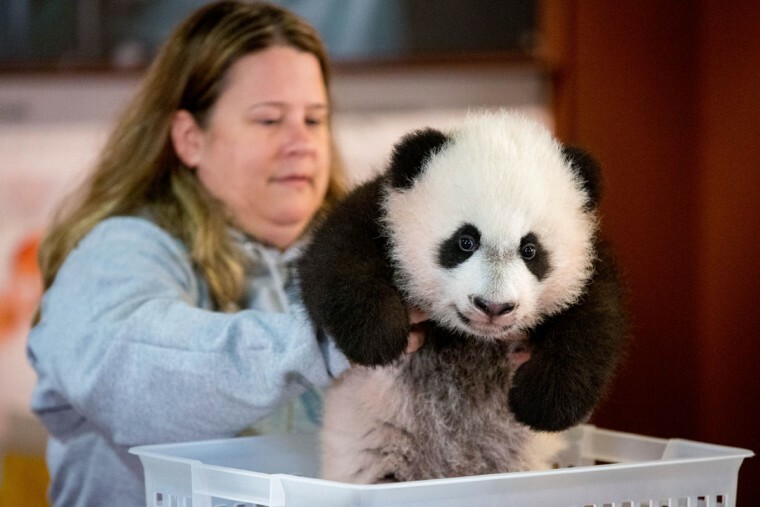 He’s gaining about a pound a week — he’s bigger than either of his siblings were at the same age — and is hitting every developmental milestone. He’s one of four pandas at the Smithsonian’s National Zoo, along with his mother, Mei Xiang (may SHONG), his father, Tian Tian (t-YEN t-YEN), and his 2-year-old sister, Bao Bao (Bow Bow). 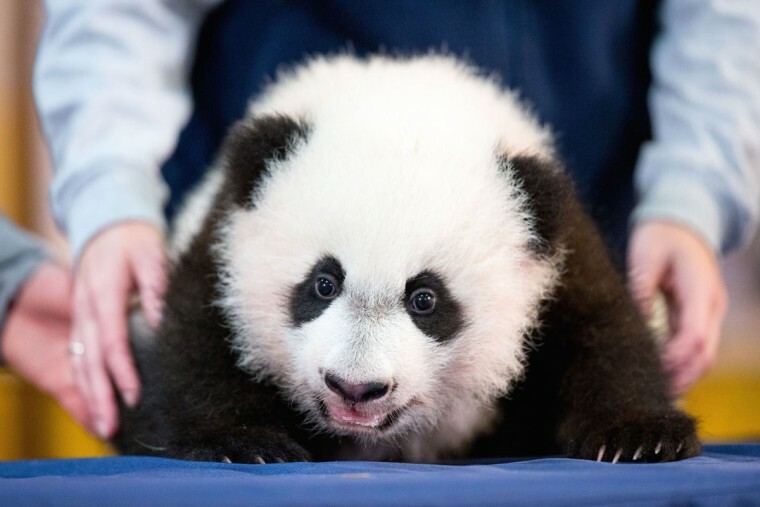 The pandas belong to China, and after they turn 4, Bao Bao and then Bei Bei will return to China and join the breeding program there. Giant pandas are endangered, with roughly 1,800 living in the wild and 350 in captivity, which means Bei Bei and his sister are being counted on to help perpetuate the species. Zoo staffers hope that by the time Bei Bei leaves, they’ll have another young panda to care for. 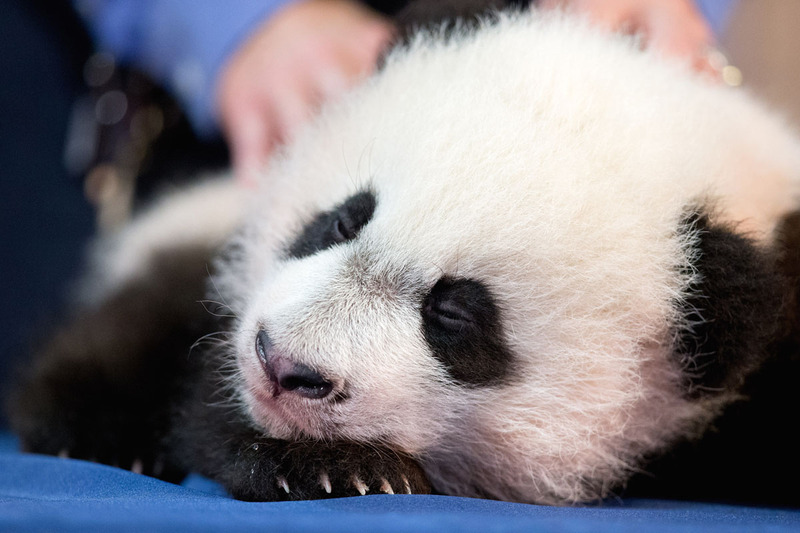 Mei Xiang, who has given birth to three surviving cubs, is scheduled to be artificially inseminated again in 2017. 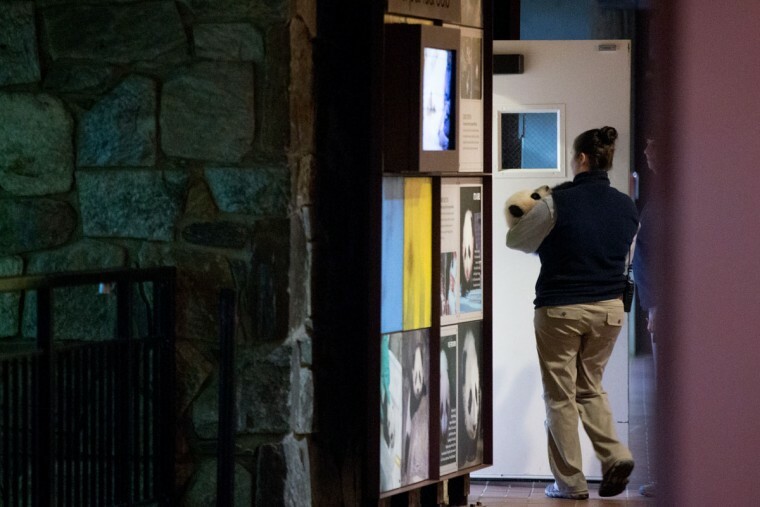 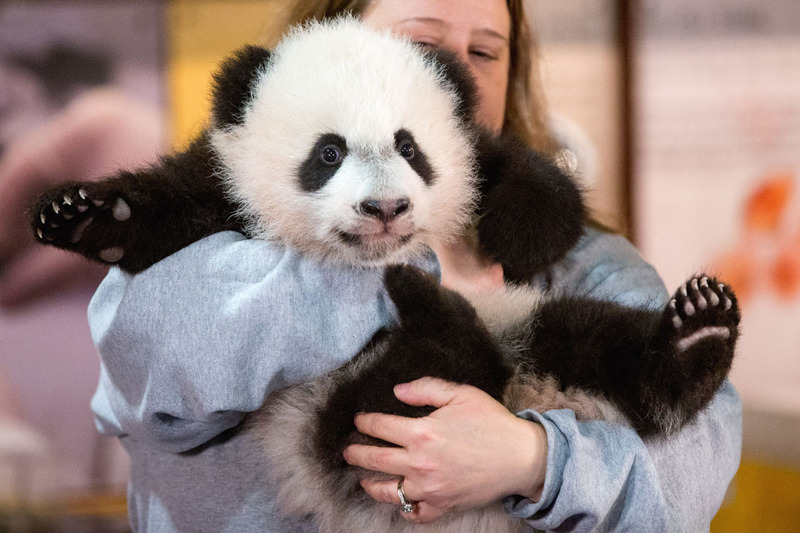 Pandas have been the star attraction at the National Zoo since China gave the United States a pair of the black-and-white bears after President Richard Nixon’s historic visit in 1972. 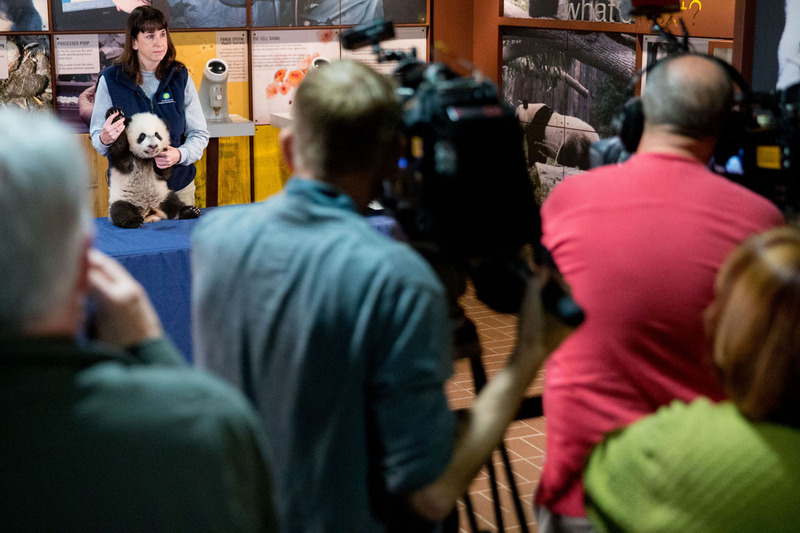 Efforts to breed them in captivity were long met with frustration, but the survival rate has improved dramatically in the past 20 years. Throughout his nearly 30-minute appearance before reporters and photographers, keepers and veterinarians stroked Bei Bei’s thick, bristly fur, and he protested only when they tried to open his mouth to count his teeth. 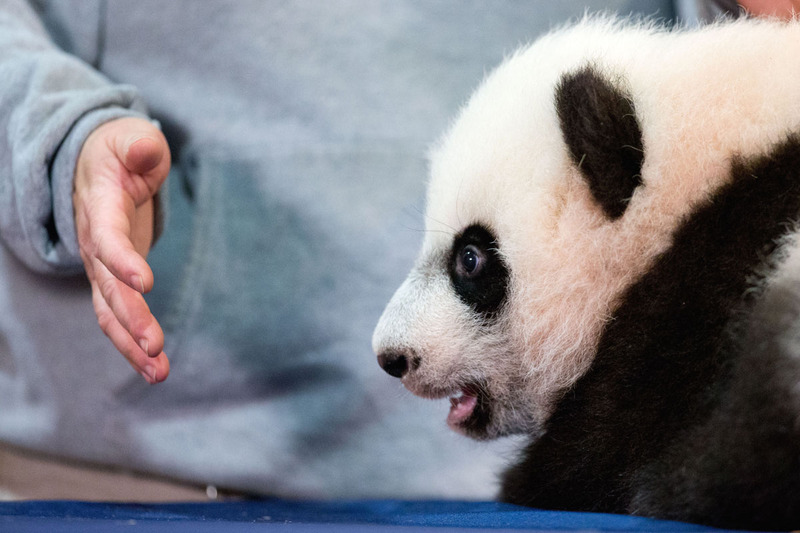 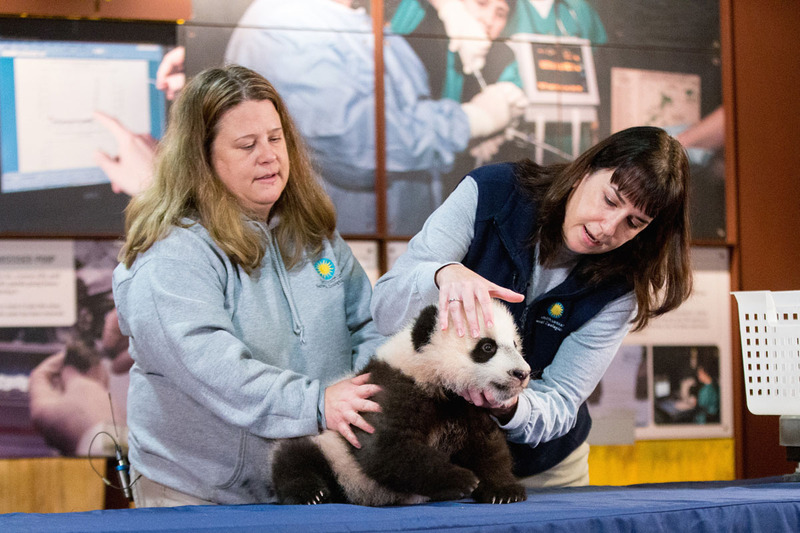 The intensely hands-on approach the zoo takes with Bei Bei is different from the way most animals are treated there. 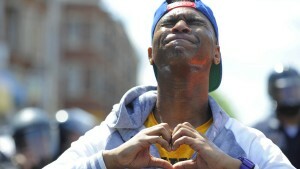 It’s not just because he’s cute. 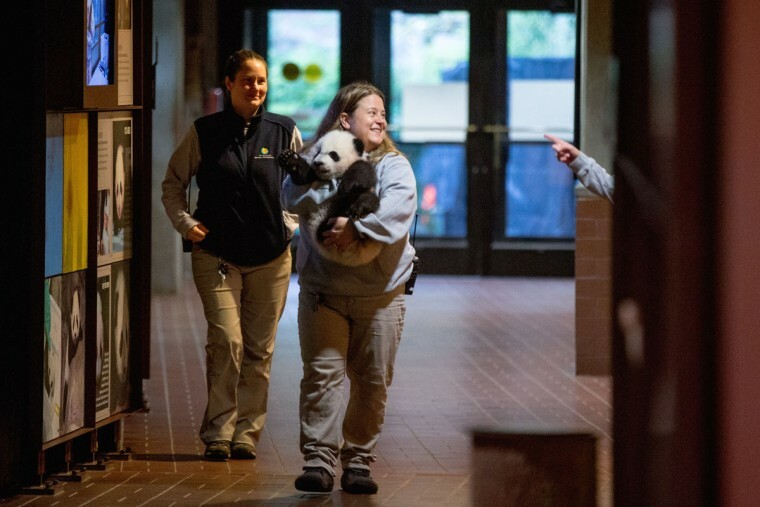 Because his ability to reproduce is critically important to the survival of his species, Bei Bei will have to interact with humans frequently. 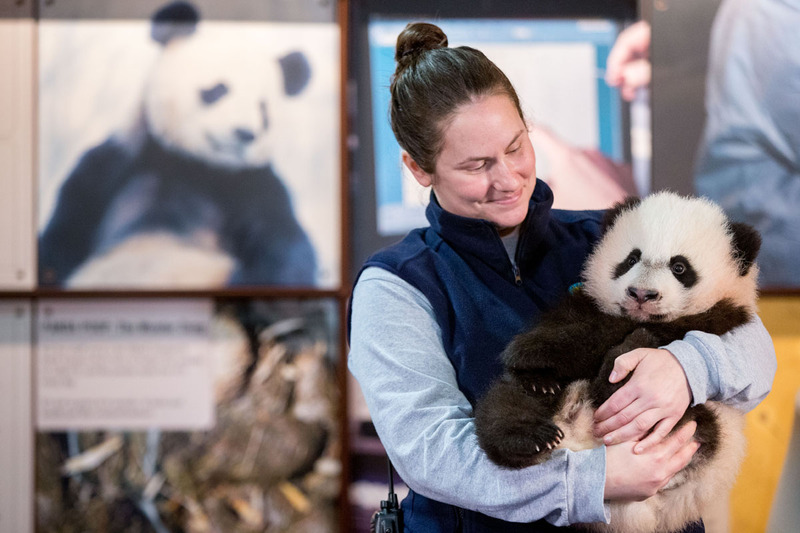 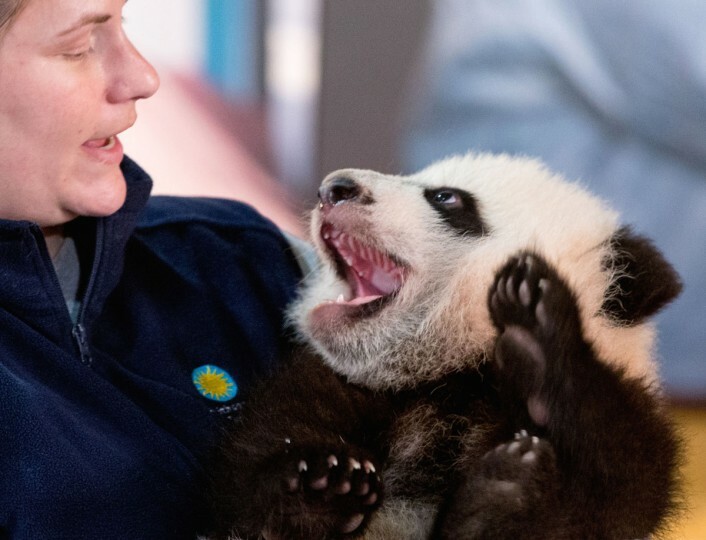 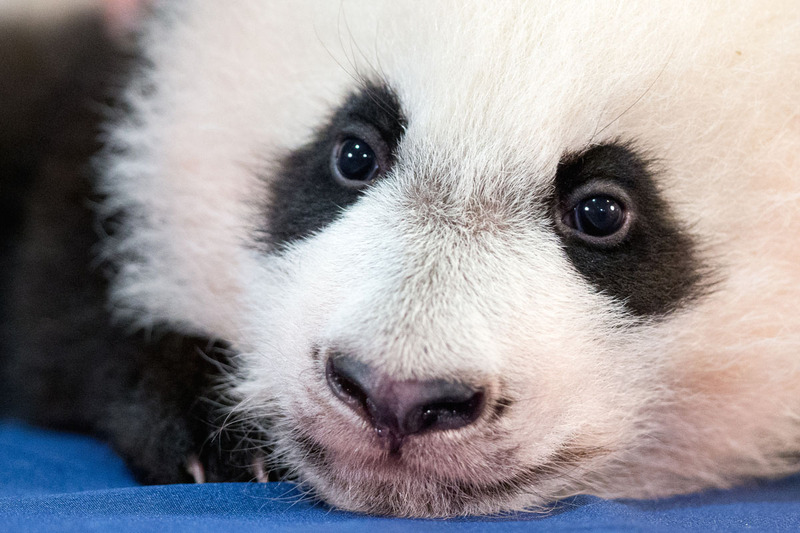 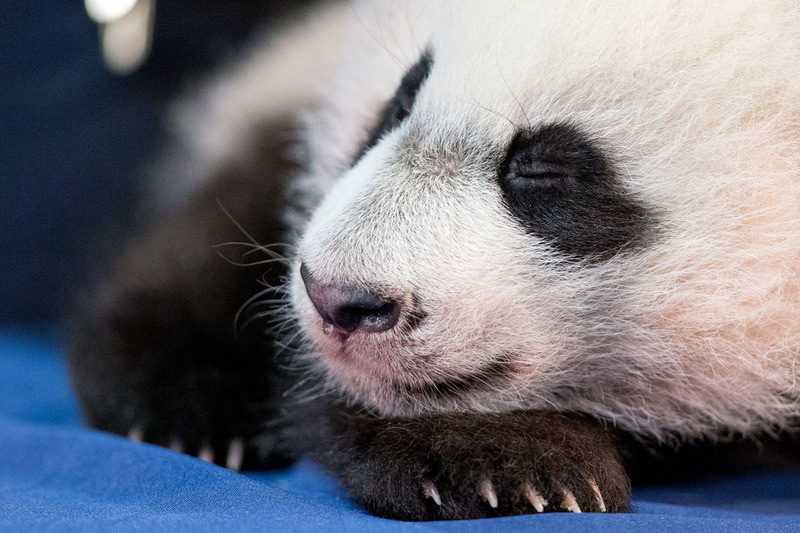 For the zoo staff, the tension and sleepless nights that accompanied Bei Bei’s first weeks of life have been replaced by the joy of watching him grow.